Ratanjit S. Sondhe emigrated from India in 1968 with two Masters’ degrees and $8 in his pocket to complete his Ph.D. in polymer chemistry at Akron University. In 1973, he founded POLY-CARB, Inc., a materials science company, which he ran as its CEO for 34 years until it was acquired by The Dow Chemical Company in 2007. Running POLY-CARB, Ratanjit developed a groundbreaking leadership and management style where there were no titles and no bosses, simply well-developed and documented values and operating principles guiding every decision made by each team member. His pioneering work on ONENESS, resulting in leadership from within while living and operating stress free, gave him international recognition as “Mr. Stress Free.” He has authored several books including TEA: The Recipe for Stress-free Living, The Secret of Our Ultimate Success, and 101 Gems to Re-Align Our Lives. Upcoming books include Oneness – The Secret of True Success, and Is Job Creation Bankrupting America? Wealth Creation vs. Job Creation – A New Paradigm. Today, Ratanjit is a sought after professional speaker, author, radio and television personality, leadership coach, and a business consultant. His television programs are aired in over 150 countries. He has to his credit over 800 audio and over 600 video programs. Every day, he posts a new inspiring quote on Facebook, where he has over 28,000 fans. 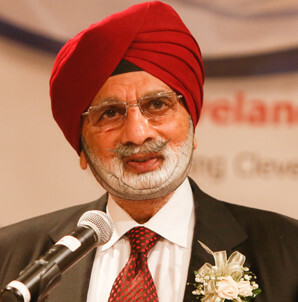 Ratanjit has been the recipient of many local, national and international awards, including induction into the Ohio Civil Rights Hall of Fame in 2010 – for his pioneering work of wealth creation instead of job creation for inner city residents – through initiating the Multicultural Business Development Center at the Urban League of Greater Cleveland. This model was adopted by the National Urban League for duplication throughout the U.S. In 2006, Ratanjit was awarded the Pride of India Gold Award by the NRI Institute, a world-wide entity, at its annual event in London for his global contribution toward stress-free living. His pioneering, life-changing, and empowering leadership training program is being published in a book under the title ZERO – The Core of Leadership. 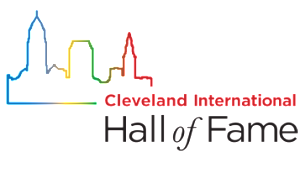 He is committed to community service and devotes many hours and resources to active participation on the boards of numerous non-profit entities including The Cleveland Foundation, Project Love, Red Cross, and The City Club Foundation, among others.